Shipping container architecture is becoming quite the trend these days. Since many countries import much more than they export, there are apparently loads of old shipping containers lying around because it’s not worth the cost of sending them back overseas empty. 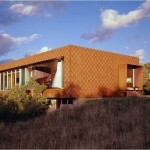 Architects being the creative people that they are started seeing this abundance of containers as a great source of cheap building materials. 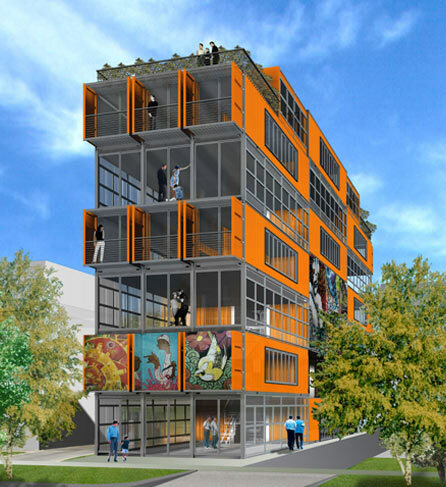 One of those architects is Adam Kalkin whose design for the City Center Lofts in Salt Lake City plans to be the first mid-rise building in the United States to be built with shipping containers.